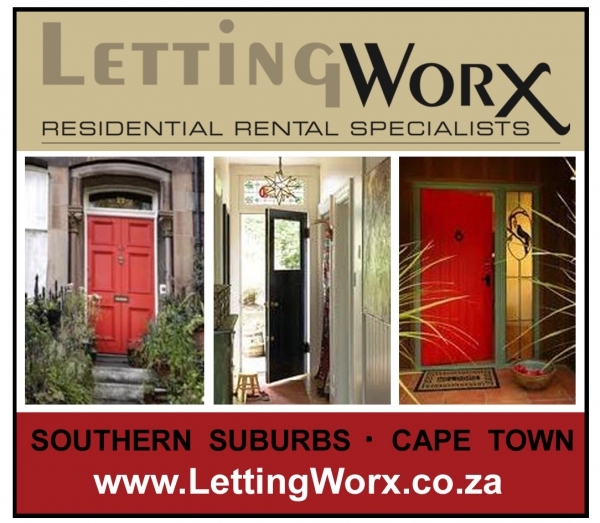 LETTINGWORX PROPERTY RENTALS, target-market focused on Southern Suburbs Cape Town residential property letting - from Lofts to Mansions we manage a successful portfolio of rentals - visit our site to view our activity. Concentrating on our key purpose, risk management for the landlord, our focus at LettingWorx is on servicing the unique needs of our clients, ensuring through a detailed and thorough vetting process that quality tenants are placed, taking swift action and collection if any late payments, and prompt attendance to maintenance issues. When it comes to successful property letting and management the choice of agent has a direct result on the outcome. The prime reason for negative experiences in property letting are a result of landlords or rental agents who loosely implement the rental application process, leaving landlords in danger of becoming another victim of a delinquent tenant and fighting an eviction battle, or a rental scam. For personalised service, flexible options & competitive rates contact us for sound advice from our experienced qualified team with extensive knowledge of the property rental industry and Southern Suburbs market. LettingWorx Rentals – From Lofts to Mansions … Giving you the Edge in Property Letting. Contact us now and compare our service.